Collegiate Track Endurance Nats last week. It seems like we are starting to pile on someone new again. Yes, Doge is a very involved parent. But his kid is a legit talent who has represented the US in junior or under 23 races in Europe. (His daughter went to college on an athletic scholarship too - one with an extensive record of success.) His son is exceptionally talented and experienced on the road. And yes, track is not the same as the road, and there is a learning curve to riding and racing on the track. Still, I think it is a bit much to claim his son is cheating or breaking rules by getting upgrades to race at Nationals. And even with Doge's kid's inexperience, I would hardly expect him to be a danger to anyone on the track. Doge isn't new. He may be a new name for you, but he's very active in other forums. In all these years, I've never heard Doge mention his own riding, bike, or cycling challenges. Only that of his son. He's said/done similar in other forums. Basically being a proud parent and discussing how the rules shouldn't apply to his very talented son. He asked specific questions about the track races and got specific feedback. No one found the video of his kid and posted it and heckled it. He's been here in the past talking about how his kid is one of the top road TT specialists in the country and couldn't understand why people didn't simply grant him access to P/1/2 races simply based on that fact. We explained why. He didn't agree. His son has been in Colorado Springs at the US Air Force Academy for at least a year. Plenty of time to be upgraded to CAT2 and possibly CAT1 if he travels for some races. The fact that son just got upgraded from CAT5 to CAT4 illustrates a lack of interest in progressing. IMHO, Doge is humble-bragging about his son's performance and as well as asking for feedback. I really don't think he wants feedback though as I don't think he or his son are interested in actually racing track regularly. I think he's using track as a way to rack up "easy" National Championship jerseys. You can call me a grump...but I bet I'm not wrong. Still, I think it is a bit much to claim his son is cheating or breaking rules by getting upgrades to race at Nationals. 1: We don't know what the son intended to do. We have not heard from him. 2: I've never asserted that anyone intended to break the rules. 3: It's a fact that rules were broken...according to the rule book stating that CAT-3 Track is required for Collegiate CAT-A Track cert. People break rules all the time. This is why we have Bike Check at Nationals...to keep that from happening. I've seen people denied the ability to race because their stem was too long or bike was too light...FIFTEEN MINUTES before their biggest race of the year, after spending hundreds for travel and hotel. Hell, I've been denied because my aerobar extensions were too long. And even with Doge's kid's inexperience, I would hardly expect him to be a danger to anyone on the track. Would you plop him into the Points Race at Elite Nationals or a Friday Night Pro Race at TTown with international pros? I don't know you, but you're definitely a grump. I see the point you are making about gaining experience the proper way, especially if we are talking about a National Championship. However, let's keep in mind the mess of upgrading in USA cycling now. You can upgrade on the road or track if you know the right people regardless of your results. You can upgrade to cat 2 on the track based on your road category. Who is really supposed to have jurisdiction here? USAC or ATRA? The upgrade field requirements are hard to achieve on many tracks in the US. They only count "top 4 in an omnium". They then go on to say individual races could be totaled like an omnium if there is no omnium, without ever specifying how the events would be scored. This just underscores the need for reform and clarity in the upgrading system and the need for emphasis in skills and safety to be placed in the upgrading guidelines. ...This just underscores the need for reform and clarity in the upgrading system and the need for emphasis in skills and safety to be placed in the upgrading guidelines. In light of recent events* with literally the top female sprinter in the world (all time? ), I think safety precautions should never be cut. It's not a red herring. A red herring is something that misleads or distracts from a relevant or important issue. It may be either a logical fallacy or a literary device that leads readers or audiences towards a false conclusion. Nothing I have stated is false or misleading. 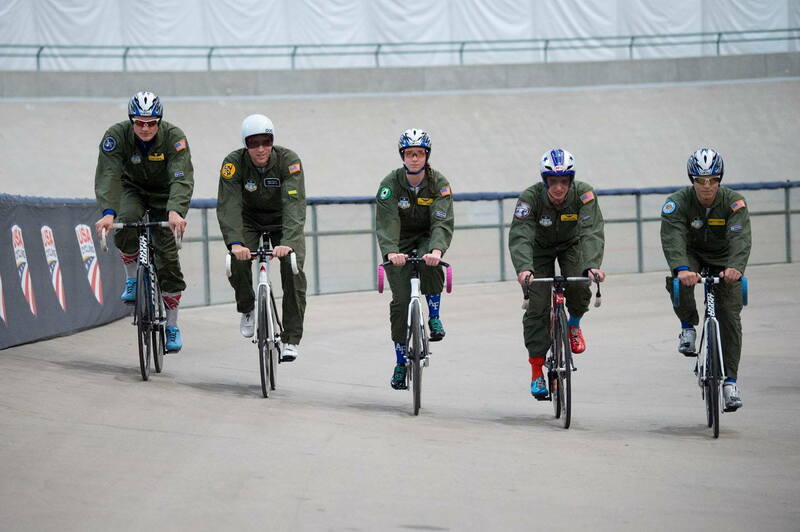 Cycling on the track in a flight suit is legal. UCI, USAC, and it's insurers wouldn't blink at this photo. And it being on a closed track, it's even less of an issue. During mass start races, only officials are allowed to be trackside, out of the infield. Trying to communicate with a rider during a mass start race is not only a distraction, but it can be dangerous. If you're in the midst of a mass start race, your attention should be focused on what is going on within the race, not trying to pick out your coach and decipher their messages. COS allowed one person track-side for each rider. Part of that is due to the bubble and the COS venue where you could not be on the outside. Yes, riders should learn to count their points. But is is helpful to know where you stand. In 40min of circles having an idea of where your opponents were or ranking seemed like useful information. I asked a couple NT coaches and they went into lengthy explanation on the sign language they use. It was of course something to learn, but I was wondering how many here do points races and have opponents numbers communicated to them. It seems not many. In LA I did my first split calling, and it was less than perfect. I go quite a bit better, so that I was also able to help other kids. One college past years wore Hawaiian shirts, and I guess they decided that was not allowed as it was not a school issued kit. We had all the rules folks there and it became a "fun" discussion.The new CEO of the USOC was there. The organizers were panicked she may not like it - although could not give a rule against it. The riders (I was an observer) decided just to ride to staging that way as not to irritate their local riders. In the end (when it didn't matter) one official suggested that as the school name USAFA was not most prominent wording, USAF was so that technically they were not allowed. The point was moot. A rider interpreting what a coach is signaling in the 2 seconds they get to see it is an advanced technique that comes with experience. I don't think it will come in the first, say, 30+ races. There is enough going on just managing the bike, body, and other riders at race pace. Once the comfort comes, the brain is free to take on new tasks. Like singing and playing the guitar at the same time. Can't happen until you know how to play the guitar first. That being said, at this very early stage in your son's track racing career, simply taking Eddy Merckx's advice would be best, "Ride lots." As others have noted, he'll learn to do it on his own and won't need someone signaling to him. I've been a coach on the sidelines of collegiate track nationals points race "coaching" (to use the term *very* loosely) two U-23 pros. (I wasn't their coach at all, just there supporting them). There wasn't much I could do that they didn't already have in-hand. I helped the most by having a wheelset and a wrench at my feet in case one of them got a flat and needed a quick swap. These guys raced almost weekly at DLV for years and were very experienced trackies by that point. This is a rule that I've seen enforced at Master's Nationals. The rider had a speedsuit from the national team of another country. He was not a member of that national team, therefore he had to use a different kit. Either a club kit of a club to which he belonged or a generic kit. This rule exists for a reason. Probably more so for road racing. I'm not sure. 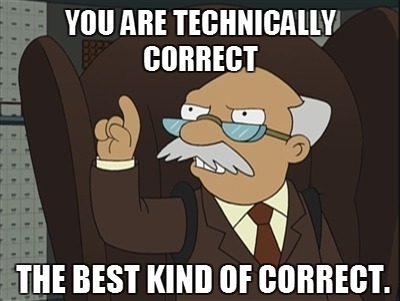 But, my point is that the rule exists and I've seen it enforced before...at a National Championship. If the athlete's above had "USAF Academy" stenciled on the back, then that would work. Prior to one Collegiate Nationals, the school only issued a club teammate of mine basic road kits. She wanted a speedsuit. She took a generic Under Armor compression top to a T-shirt shop and had the school's logo printed on the back. She mated it with the bib shorts. Boom...instant 2-piece speedsuit. Last edited by carleton; 09-25-18 at 01:03 PM. That's a great video. The narrator makes several great points. Dude is CAT2 road racer in California. That's not easy. I've seen the overconfidence he speaks of sooo many times. As I told some family members (who drive way too fast), "Physics don't give a fuuuuuuuck about you! Physics gonna do what physics do." Think about what would have been riding 2-wide and the person on the outside with people behind him. He would have taken out the rider below and at least one rider behind. Take note of how fast that buck happened. That crash had me re-evaluate my racing and actually steered me away from track to focus on CX. Still can crash due to obstacles, but much slower speed and caused by myself! Good read for roadies. I think the biggest problem inexperienced road riders have is applying road solutions to track problems. I was at a Friday night track racing at JBV where a road rider did a road style bike throw at the line (rear and off the end of the saddle). The movement of the cranks yanked his body forward, with the rear of the saddle being jammed into his groin. Yes, I know Doge is not new to cycling or the bike forums - he and I have argued extensively in other forums, and my wife met him in person at Collegiate CX nats last year. And yes, Doge does brag about his kid, and he is probably overly involved - Todd Marinovich comes to mind. Still, he is new to track racing, and as you have argued countless times, track is different from road. So yes, I think it is fair to say he is new. Also, Carleton, I like you and appreciate your perspective, but I've noticed you tend to be a bit harsh to people who do not necessarily follow YOUR way of doing things. Doge is one of two people I can think of right off the bat who have not followed your suggestions. I point this out because if we really want to increase the number of people racing on the track - and I know you do - we need to be more welcoming to people who are new to this niche within a niche sport. What exactly have Doge and I disagreed about from your POV? As I recall, the major point is that he complains that his son shouldn't have to go through the upgrade process and be granted immediate access to P/1/2 Track races based on his Road results. After at least a year, possibly 2, his son is still Category 4 for track despite living in a city with a track that is covered from the elements with a vibrant track scene. I assume that his son, as a college-aged adult in the USAFA, can make his own decisions and pursue an upgrade on his own. Why this hasn't happened is not clear. Doge and his son are only "new" to Track racing because they choose to be so. They have been exposed to it for years.. There seems to be the attitude that, track is a lesser sport than road racing and thus if son excels there then then the "lesser sport" should welcome him with open arms. You may know Doge personally and he may be able to charm the socks off of a kitty cat, but that's not how he presents himself here. Addressing some points, as my personal motivations seem important to responses. I have more comments/questions on endurance track, collegiate track, but I guess it is better to get these out of the way so we can discuss those. If you have anymore motivation type question please PM me. Obviously I'm not quick take an opinion, but FWIW - I did buy a track bike, I am using the wider chain...stuff I got here, even though it was difficult has been used. So addressing some of the off-track comments as briefly as I can. This is the only area I posted in the last 6 months on BF. The reason is I want to discuss Collegiate Endurance Track. I don't post about my racing as I was not a good racer, and I have not raced for 30years. I’ve been around competitive cycling, and the bike people industry since 70s. Why 20 year-olds don’t do forums? No answer for that, but one reason is time, see below. Fresh/soph cadets may not have cars and may not leave individually (without approved paperwork) in the evenings. COS mid-week racing was not really practical. We did pay some $50/night Uber charges, then the new admin shut down evenings out across campus. Team things are much more encouraged than individual things. What could have been would have been unwise in the larger picture. We did 7 NCs in the last 5 months the results came in about the 60th percentile, but he's not that strong now. Junior's cycling peak was about age 16 when he decided pro cycling was not his path. He/we are going the opposite direction. The only bragging to do is on how he is getting kids to show up and race when they didn’t and is recruiting. That, will likely server him better than any individual win. Tentative is not timid (posted by someone above) and is exactly what you want in someone new. An athlete should be tentative about what is safe, and how to do it right. It is the inexperience non-tentative ones to worry about. If junior gets a fighter pilot slot (15 months from knowing, good chance) I expect all the bike competition to go away until he's a master. If he does not get a pilot slot, collegiate cycling competition is fun, he can drive to COS tack now, he has teammates that are doing track now (1st time in 4 years or so), and track does not take the miles and hors road does. He also likes the gym. USAFA has a program (Search WCAP) where national level athletes get to choose both location they serve and have training for their event as their primary job. This was presented as a recruiting tool. It is up to junior if he wants to take advantage of that program, but the thinking is endurance track may fit best. Your son seems to be in a very good location with incentive to train and the right eyes and coaches around with the USOTC in COS. Not to mention the benefits of high-altitude training. The stars may very well align for him. As many of us know, college can be full of distractions. I hope he gets his work done, enjoys himself, and rides his bike well, in that order. Look. People break the rules all the time...willingly and unwillingly. Your son placing 4th of 8 in a local crit while racing illegally isn't a big deal. Your son making the podium* at Collegiate National Championships while racing illegally is. *(I don't know his result nor am I asking). It's a coach's job to make sure that his/her athletes are racing legally and to watch out for illegal acts by the other team and advocate for them as needed. Why make rules if they don't apply to everyone? If every other athlete did all of the steps in order to race (certs, upgrade from 5 to 4 to 3, obtain CAT-A...) then your son should, too. He shouldn't be there simply because his pa thinks he's the best kid in the field. Just that I looked while registering some others (not my kid) I noticed - that is not a rule at all. Rather a "guideline". The tracks are different. The March 2nd Frostbite TT (road) was canceled due to snow. The kids (3) went to the track for the endurance events. Mine was sick, borrowed a club bike and registered for Cat 4. Registration placed him in the "pro/1/2". This was not request by him, nor an argument, just a you-go-here. He / I figured - good pack experience. I think it was. There were some rather simple mistakes you can only learn by doing. His collegiate teammate (Cat 3) won the pro/1/2. The wee bit I have seen of COS, and to a large degree LAVRA, It is very laid back good time. Shoe sole comparison: Easton EC70 Vs EC90, any recognizable difference in flex?